In general, men are not thriving. Specifically, men in their mid-lives (30-50) are stuck. They’re past their physical primes, but working longer hours than ever. Their balder, fatter, weaker, and more tired. They spend more time at the doctor’s office and more money on medications than ever before. Their families and careers give them precious little free time. They’ve accumulated a lot of stuff and, along with it, a lot of debt. And they feel like they’ve stalled. They’re starting to realize they’re never going to accomplish their dreams. They’re never going to make the millions that they planned on making. They’re never going to take those vacations they wanted to take. What’s worse, they realize they’re never going to do anything of real significance, and that their impact is going to be minimal and fleeting, being washed away by the tides of life like words written in the sand. They see no path to victory, so they’re left without hope. As a result, they range from discontent to depressed to restless to angry. But I believe there is a path to victory. In fact, I’m convinced that the discontent that we feel is because the things that men are wired to value (strength, courage, and honor) are valued less and less by society with each passing year. This means that men spend the majority of their lives performing tasks that do little to develop their masculinity. They float along in the busyness of life until they look up and realize that they’re not very happy with who they’ve become, and it’s because who they’ve become has no connection to the man they had the potential to be. Instead of strong, courageous men who lead their families on a tremendous journey that benefits their communities, they’re overweight, weak, and stuck in the rat race of a consumer culture. Instead of having developed an array of skills that makes them productive and adds value to their world, they have only a set of soft skills that are valuable in the very limited context of their particular job. Instead of being connected to other men who guide, instruct, evaluate, support, and validate them, men live isolated, lonely lives. This lifestyle has led to the highest suicide rates in history among men, unhappy women who are in a marriage devoid of masculinity, and children who are being raised by their computer screens instead of by a strong father who leads, trains, protects, instructs, and supports them. While they will gladly embrace a safe, comfortable existence, men long to be tested. They long to take their own Hero’s Journey, where they are challenged to do something significant, where they join with others to strive, strain, and unleash their masculinity to overcome obstacles and gain something of value for themselves, their families, and their communities. This is the life that results in content, satisfied men. This life is still possible. You can take your own Hero’s Journey. 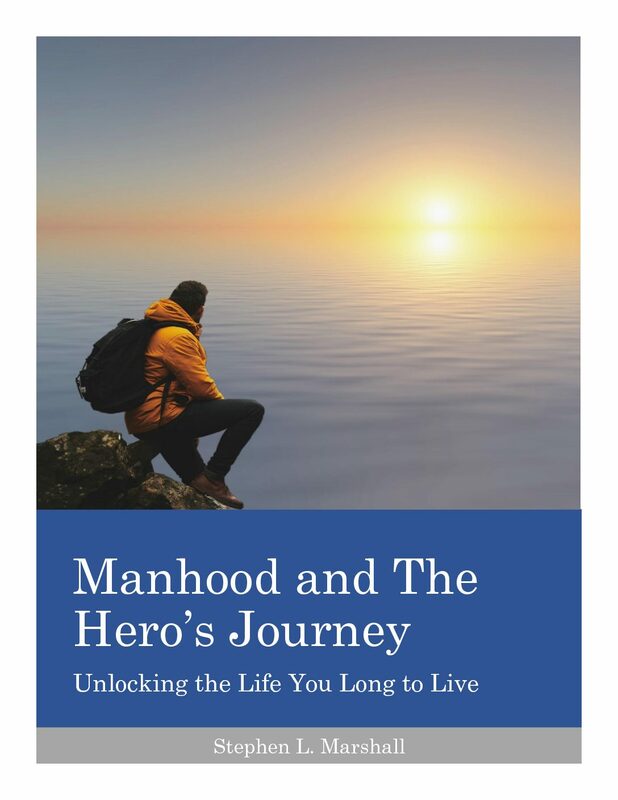 Combining theory and practicality, Manhood and The Hero’s Journey will help you connect with your nature as a man and take tangible, practical steps that will begin the life that you long to live.